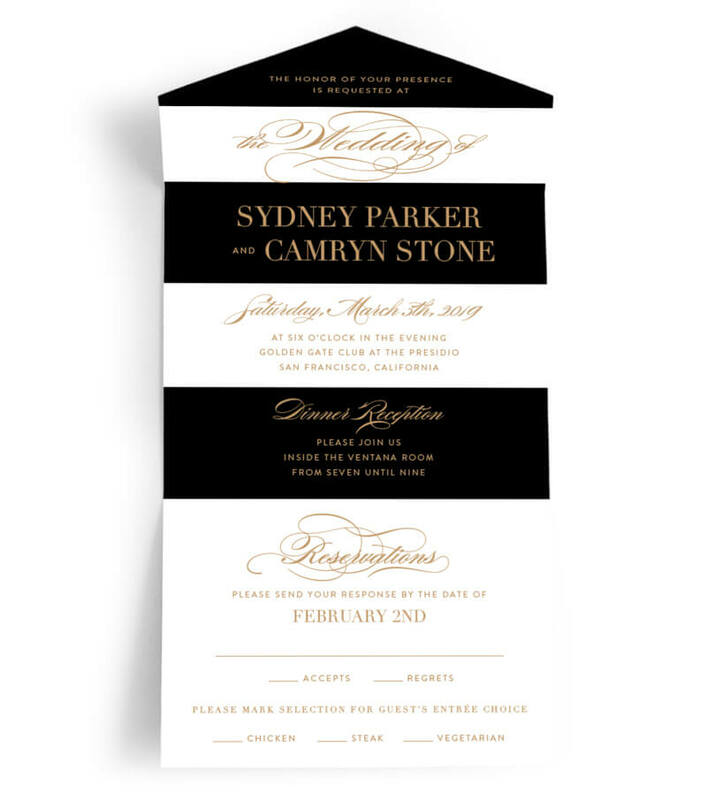 Minted is known for offering customers unique wedding invitation designs, luxurious printing and high-quality paper. 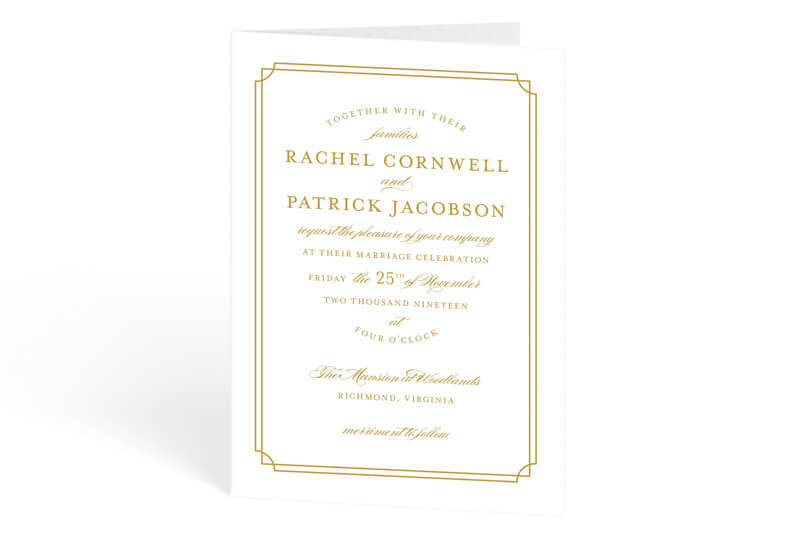 But Minted also wants to make sending out those beautiful invites easy, too. Thanks to new savvy offerings, designing and mailing your invites has never been easier. 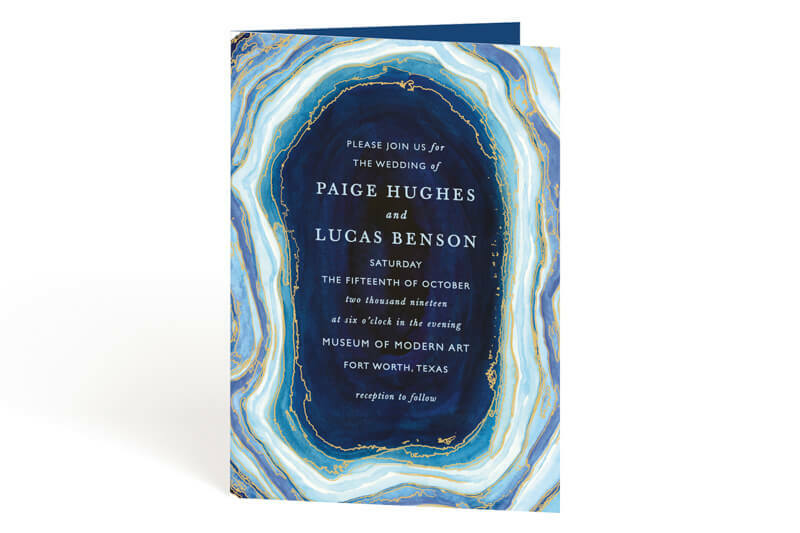 Minted has a new all-in-one invitation that has everything your guests need in one place. How does it work? With three easy folds. 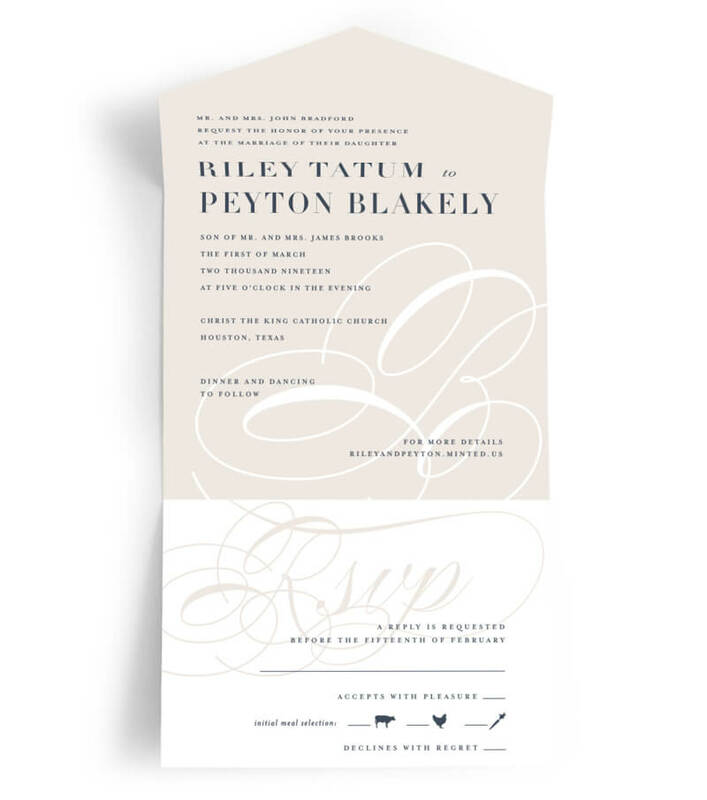 The all-in-one invitation includes the wedding details and a perforated RSVP card your guests just pull off and drop in the mail – the address is already included. You just use the included clear sticker to seal the invitation for mailing. It’s that simple. 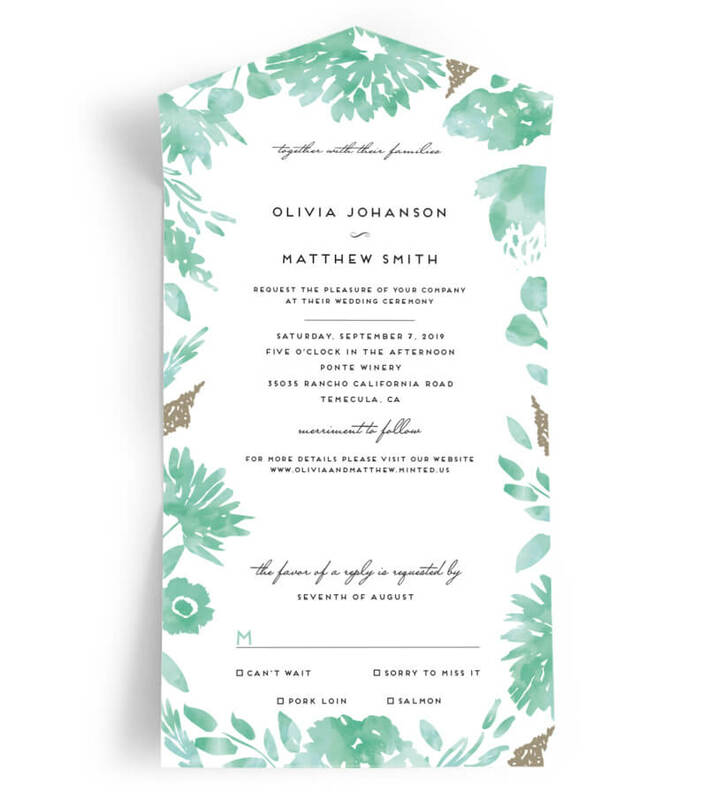 Minted also offers new four-panel invitations that has all of your wedding information in one place. With these folded cards, you can customize the interior, including adding a photo, as well as the back of the invites and address labels. When you order a four-panel invite, you can also match your free wedding website with the design of your invitation and receive free recipient addressing. 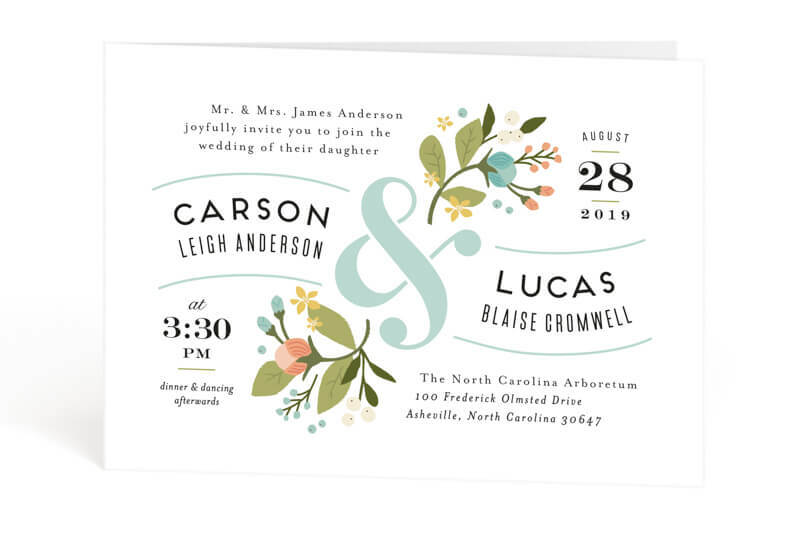 As with all of Minted’s invitations, you can choose from a variety of designs that speak to a whole host of themes. From floral to modern to classic, Minted’s community of independent artists has created a unique way to thread your wedding vision through the moment your guests open their mailboxes to when they send back their RSVPs. And Minted offers one complimentary proof so you know exactly what you’re ordering. Minted customizes for your big day. And since this is the first element your guests will see for your wedding, you want it to be special and personal. Thanks to both Minted’s incredible design community and ingenious formatting options, you can have an inimitable invitation that’s as pleasing to read as it is to deliver.